Recently I was in America, in Chicago, and a group of us went for a pottery class for my friend’s bachelorette party, which is like a hen party, just a little different. I realised there is something quite insightful that we can learn from making pottery. I will try to illustrate it. We had the wheel in front of us and we were each given a piece of clay. The first thing we needed to learn was to ‘centre’ the clay onto the wheel. Centring the clay means that clay will not detach and fall off the wheel, in other words it ensures that we can mould the clay after it is centred. The process of doing that goes something like this: you put the clay into the centre of the wheel, pour some water over it so that it is moist and then you spill the wheel and use specific movements to press the clay down and then different movements to lift it up, and you alternate between these two movements. Through the whole process you need to keep adding water because the clay needs to be moist when you work with it. This is not as easy as it sounds, especially when you are just a beginner, even though it is a lot of fun. 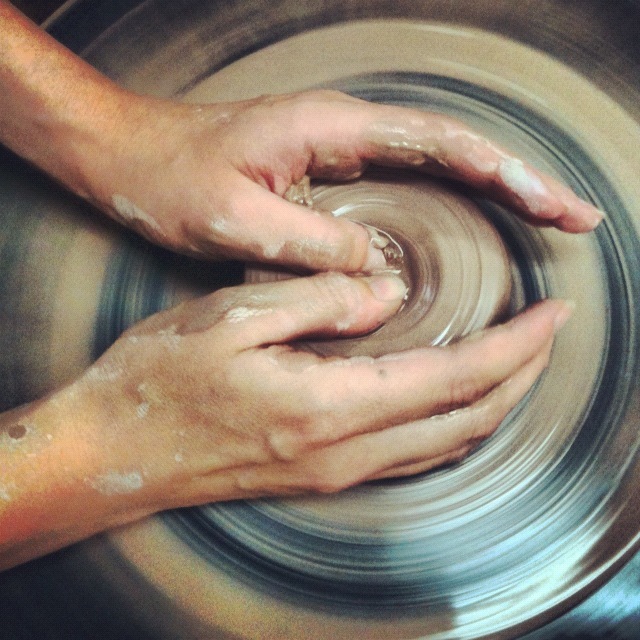 Eventually, after a few minutes, when you press the clay down again it should form a smooth circle and you should feel no bumps as you have your hands around it while turning the wheel; the clay should roll smoothly through your hands. The instructor who was teaching the pottery class called this end result, when the clay is centred: ‘silence’. Perhaps this is what the practice of solitude does to us as well, it centres us, even if it may be a bit challenging to go through the process at times; solitude helps to bring us into the inner silence, where there are no apparent bumps, just us in God’s presence. It is a place where healing happens. There God is free to do His work within us.